Once in a while, you find yourself content. 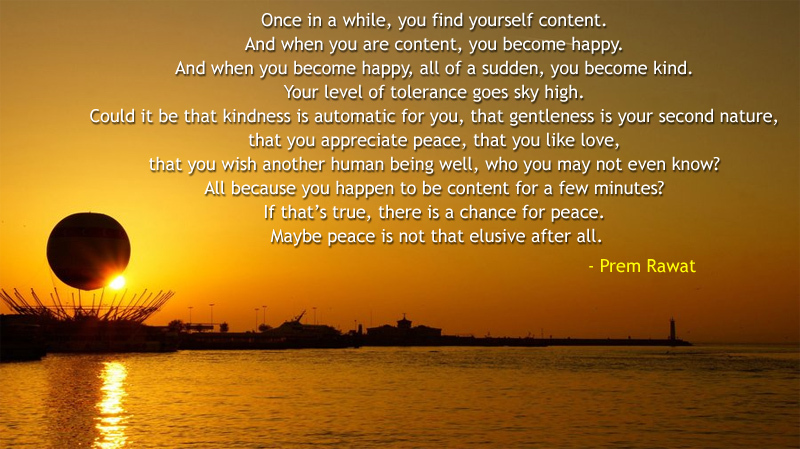 And when you are content, you become happy. And when you become happy, all of a sudden, you become kind. Your level of tolerance goes sky high. that you wish another human being well, who you may not even know? All because you happen to be content for a few minutes? If that’s true, there is a chance for peace. Maybe peace is not that elusive after all.